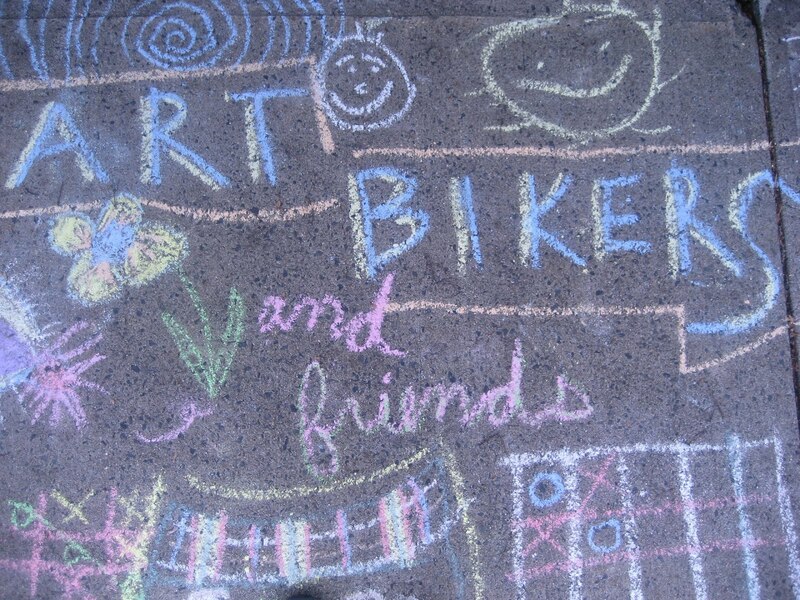 HRM Bike Week was wheely fun!! 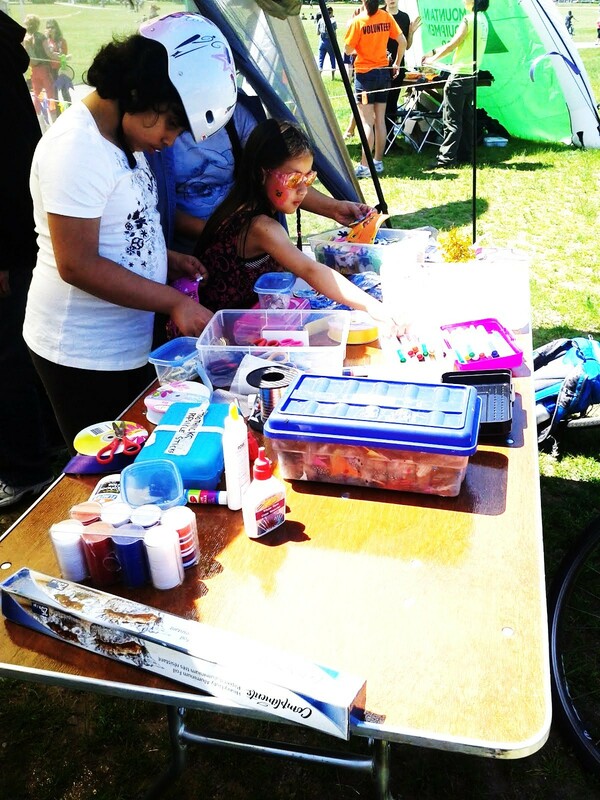 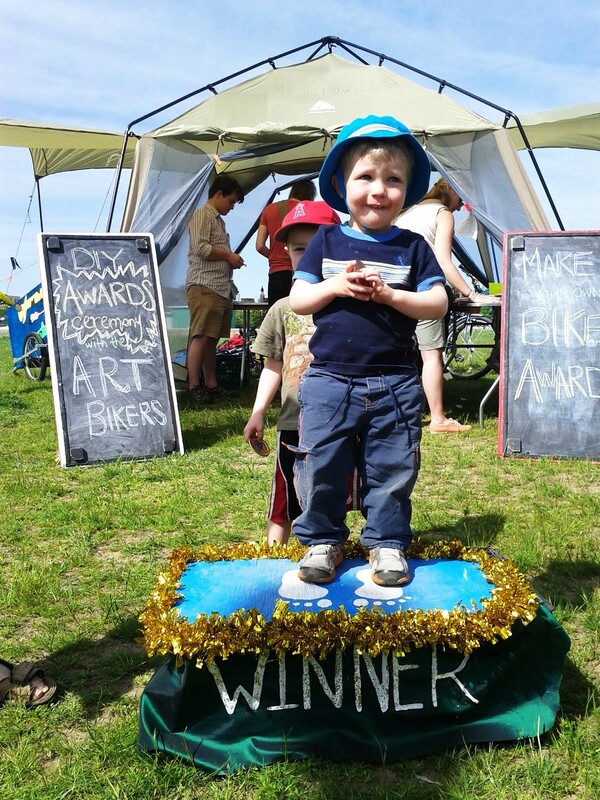 The Art Bikers led a "Make Your Own Bike Award" activity where bikers of all ages created awards for themselves and for their friends. 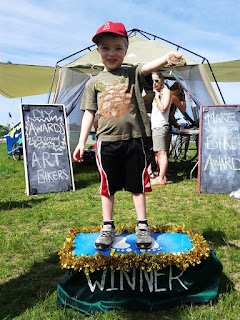 The awards ceremony on the winner's podium was a major highlight. 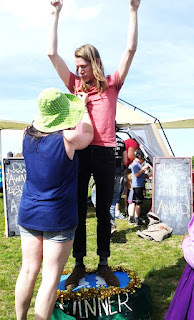 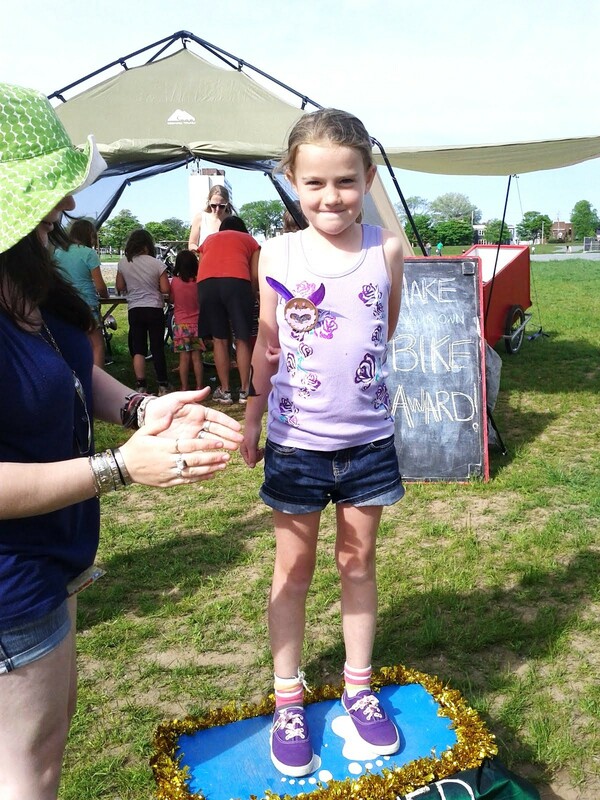 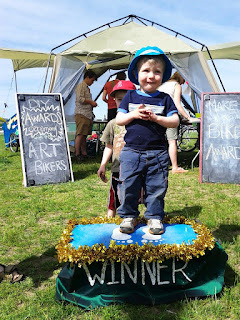 Everyone is a winner with the Art Bikers!